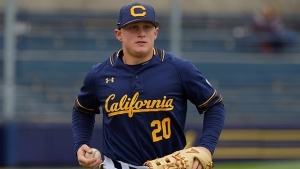 Headlining the 2019 watch list is the reigning Golden Spikes Award winner, Andrew Vaughn (California). Vaughn joins Jim Abbott, Mark Kotsay, and Kip Bouknight as the only Golden Spikes Award recipients who returned to school after winning the award. Last year, Cal’s Vaughn took home the prestigious award, joining a group of recent winners that include Brendan McKay (2017), Kyle Lewis (2016), Andrew Benintendi (2015), A.J. Reed (2014), Kris Bryant (2013), Mike Zunino (2012), Trevor Bauer (2011), Bryce Harper (2010), Stephen Strasburg (2009), Buster Posey (2008), and David Price (2007).